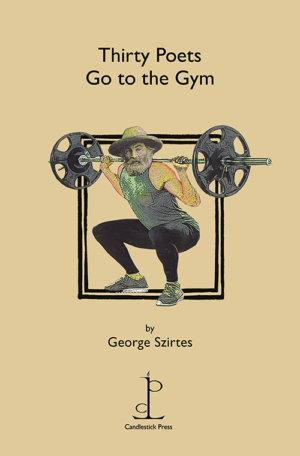 George Szirtes’ ingenious project of subjecting thirty canonical poets to a high-intensity workout provides brilliant and often hilarious results. From Dylan Thomas falling off the treadmill after too much apple juice to Sylvia Plath’s furious tirade against her trainers, the collection is a delicious roller-coaster of high and low comedy. There’s an added bonus in the form of a poem by Martin Figura which envisages George himself on a treadmill. Written in the styles of the poets themselves, the collection showcases Szirtes’ technical virtuosity and presents this leading contemporary poet at his most versatile and engaging.